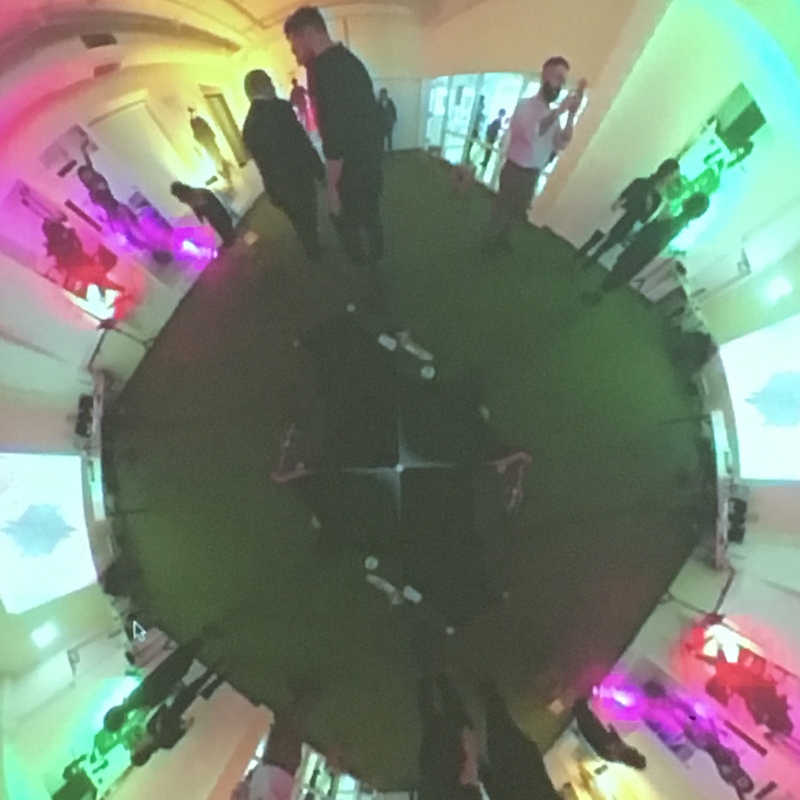 Performative Topologies, at Bauhaus University Weimar (video still image). ** March 7, 2019 – April 20, 2019. Exhibition: Membrane. With Jörg Brinkmann, Ursula Damm, Adelheid Mers, Rachel Smith, Moritz Wehrmann. Kunstverein Tiergarten|Galerie Nord, Turmstr. 75, Berlin. 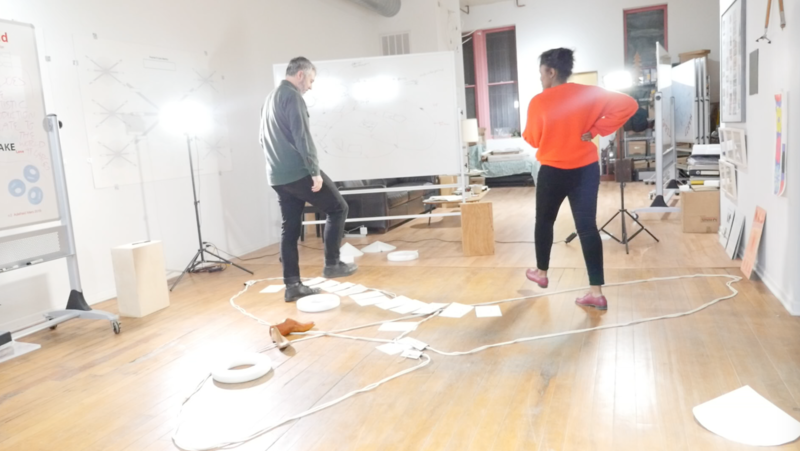 On view will be The Braid and Fractal-3-Line Matrix Whiteboards and related video documentation, and new Performative Topologies video work, developed with Robert Woodley. 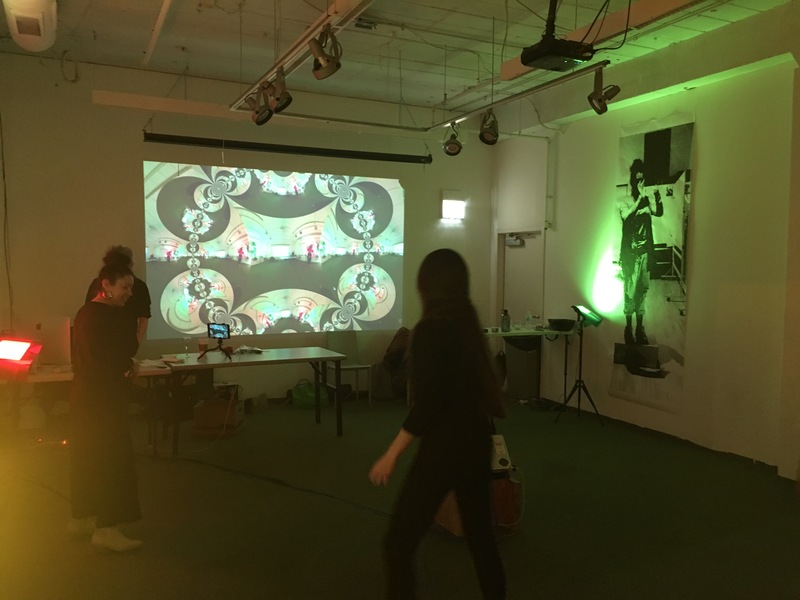 Performative Topologies were created in Chicago with Joseph Lefthand, Vero D. Orozco, Caroline Kawen Ng and other contributors, and with a group of students at the Bauhaus University Weimar. Initial images are posted here. 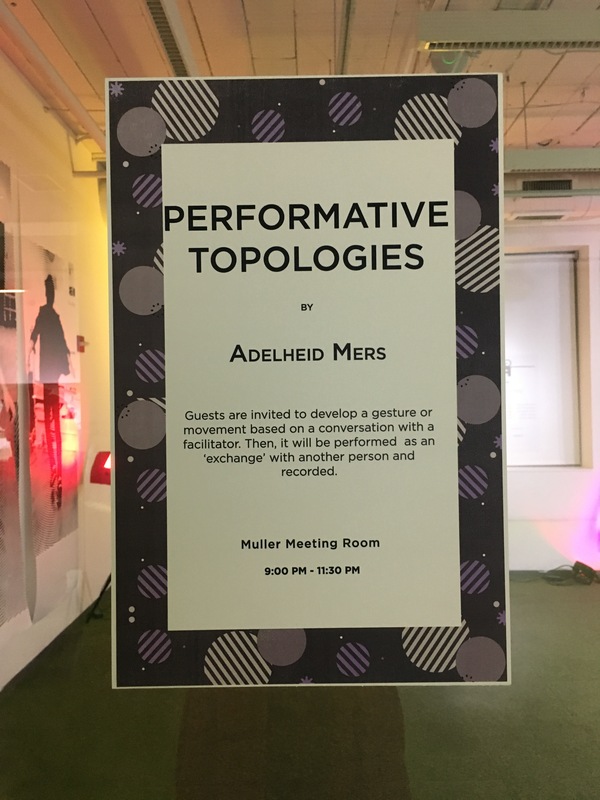 Adelheid Mers’ diagrammatic templates are greatly condensed texts and conversations. 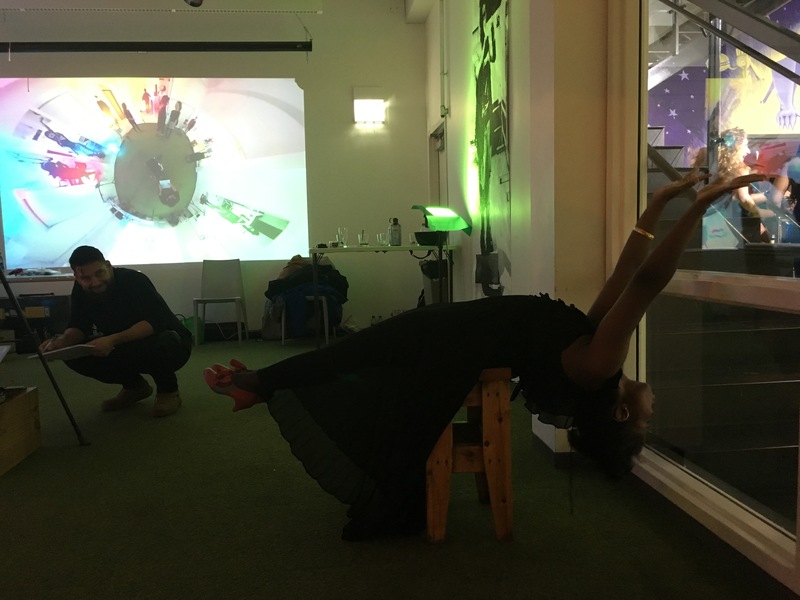 Simultaneously they contain the invitation to unfold them performatively, experimentally and playfully. This is why workshops are a central part of this exhibition. Visitors will be introduced to the diagrams and invited to actively engage them. Three workshop modules will be offered. The Fractal 3-Line Matrix is a two-dimensional tool that visualizes non-hierarchical forms of text interpretation. In the workshop we will probe the template’s multiple functions, using an example text. 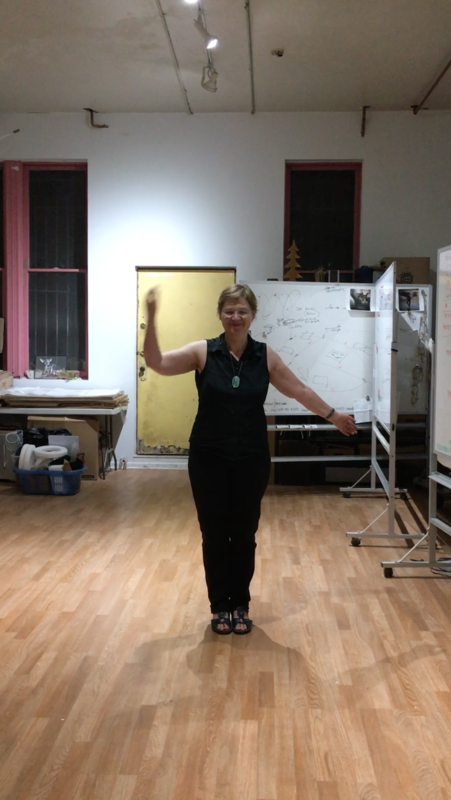 Participants will learn to implement and also adapt the methods contained in the matrix. 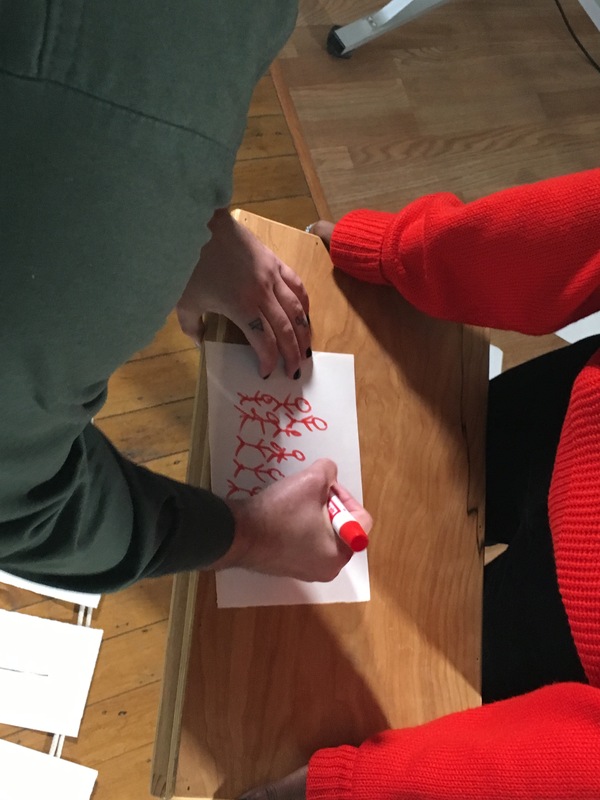 The module using the three-dimensional Braid template invites participants to synergistically assess conditions that impact their own professional practices. 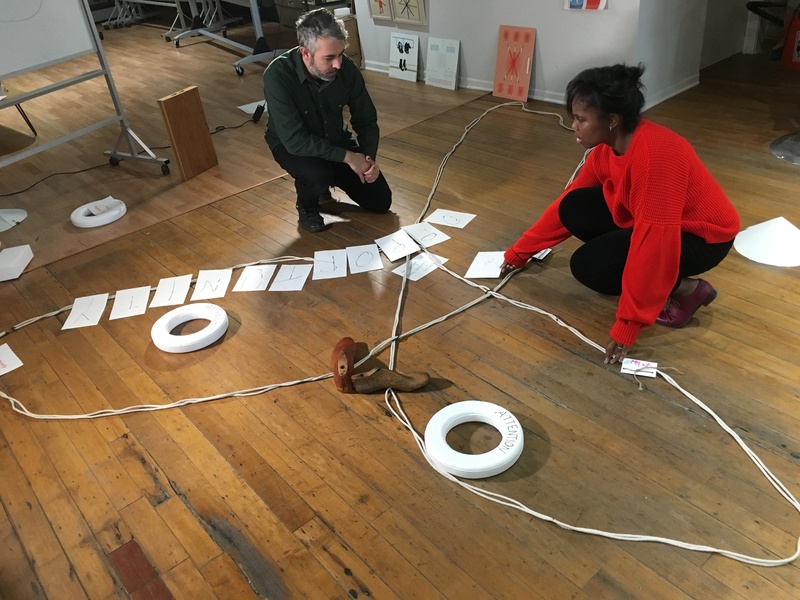 Participants from the cultural sector, for example artists, designers, theorists or administrators, may ideally work in rotating pairs, to gain and share new insights by comparing and inscribing their experiences into the Braid template. 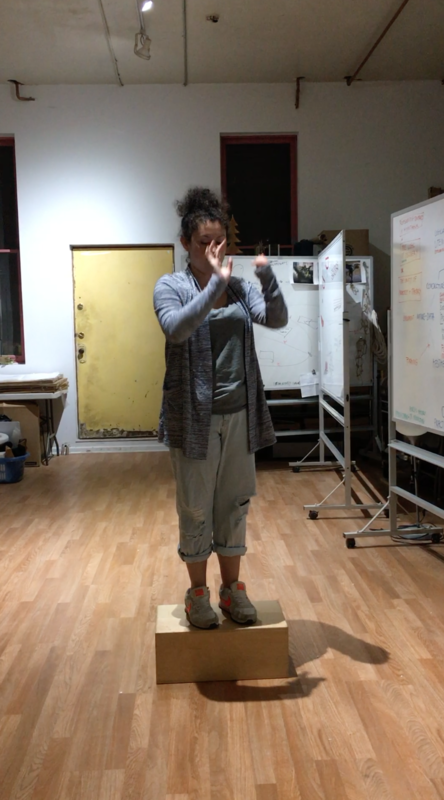 The workshop module Performative Topologies is conceptualized as a game and movement lab. Differently from the preceding two workshops the initial engagement here is through a verbally shared algorithm. 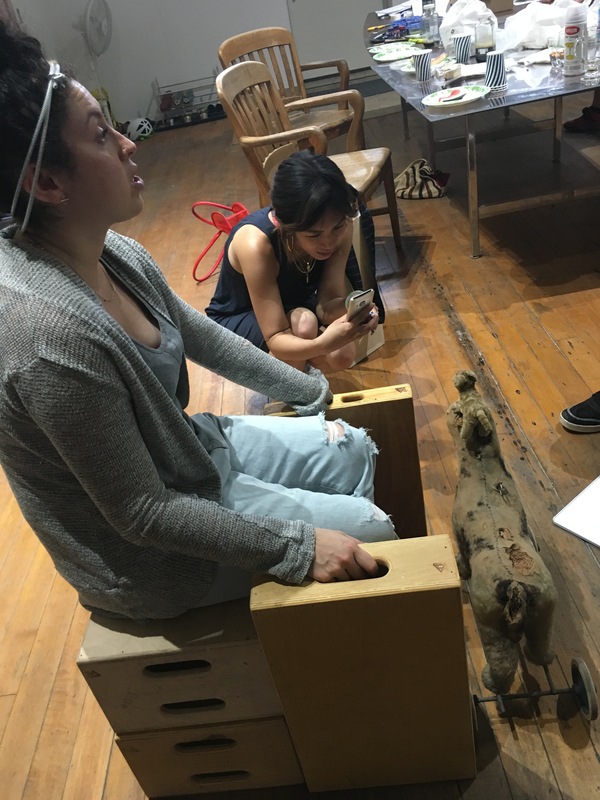 This module asks how the presentation of an imagined object under alternating perspectives (for example imagining, describing, sketching, performing) promotes a new understanding of one’s own ways to value personal experience. 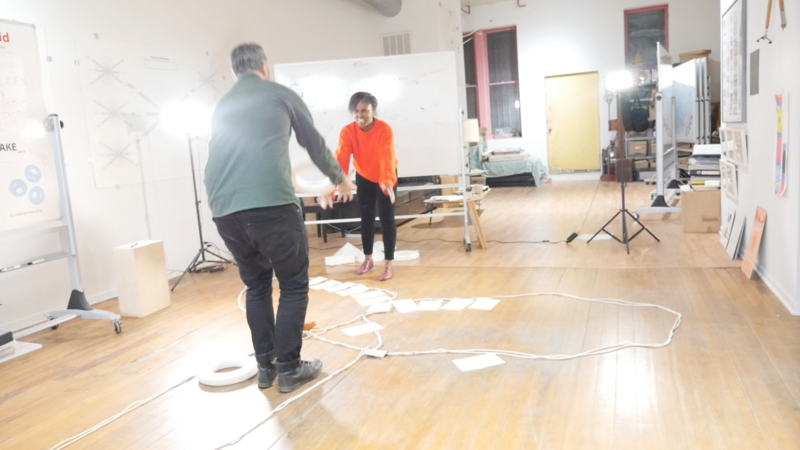 This module will culminate in a joint performance – a spatial diagram of sorts. 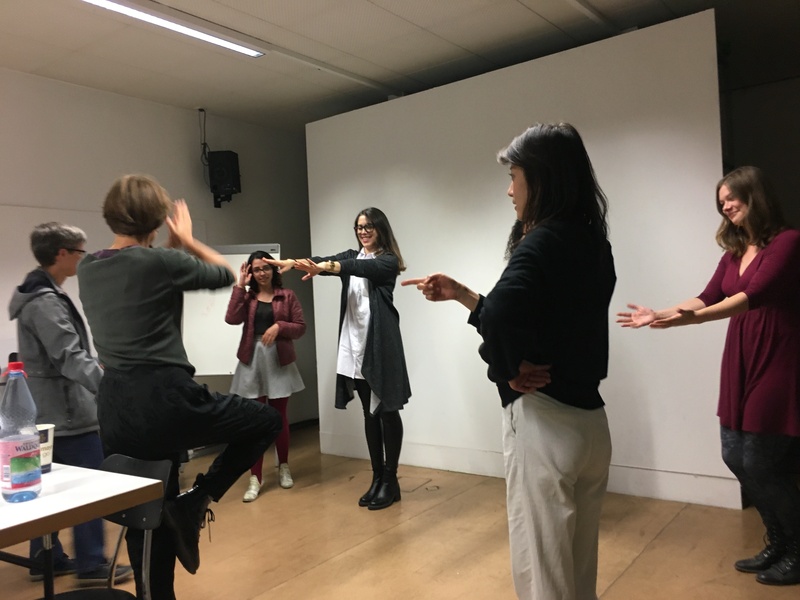 By contributing to a workshop, participants both support the artist in her ongoing research into Performative Diagrammatics and gain the opportunity to explore and share what often tends to be backgrounded in daily work and life – own ways of perceiving, valuing, thinking and representing. Workshops take place in German and English. Participation is free. *February 25, 2019. 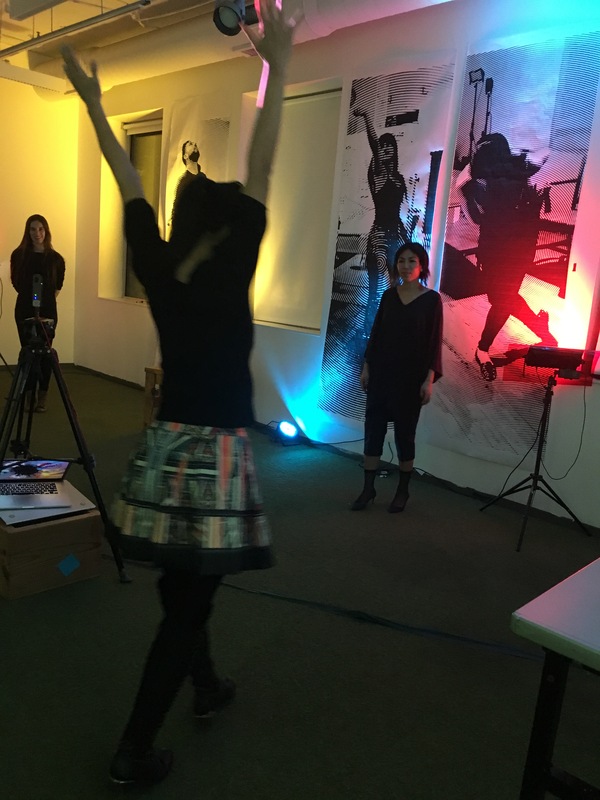 Talk: Performative Diagrammatics as Action Model. Walsh Arts & Sciences Seminar Series, Clarkson University, Potsdam, New York. 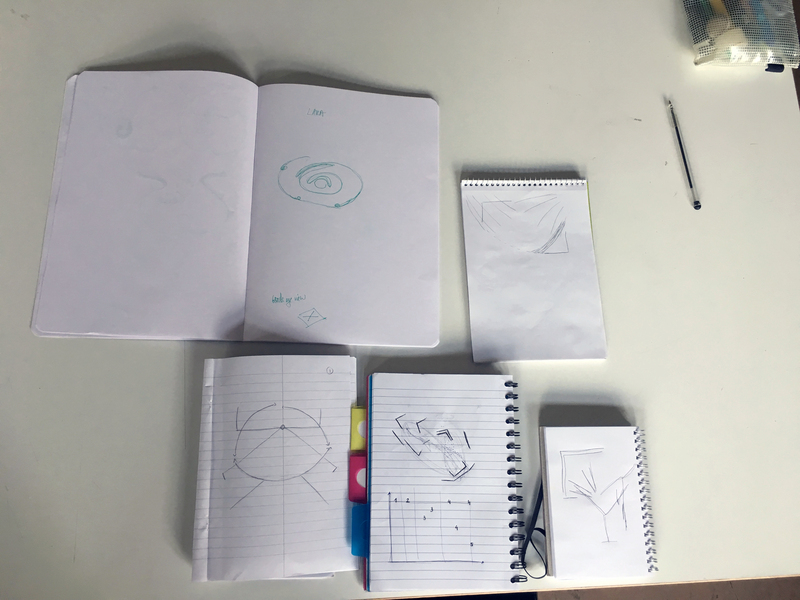 Artist and researcher Adelheid Mers uses diagrammatic means to probe artistic and communal processes of knowing and working. 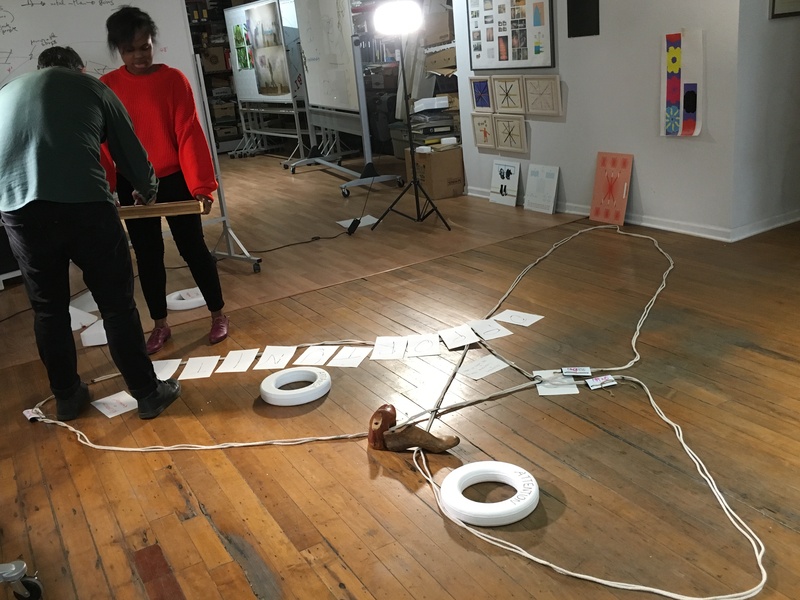 In her talk, she will outline her own action model, “Performative Diagrammatics”, through which she knits together her work in visual art and Cultural Management Studies. By contextualizing her mode of working with related models by theorists and practitioners across fields, such as Sociology, Ethnography, Performance Studies, and Psychology, she will show how the concept of action model itself can offer a foundation for interdisciplinary work, by connecting themes across the metaphors practitioners and theorists alike deploy to do their work. The talk will be bookmarked by two workshops, “Using The Braid”, and “From Braid to Meta Crit Kit”. This visit was organized by Alex M. Lee. *January 11, 2019. 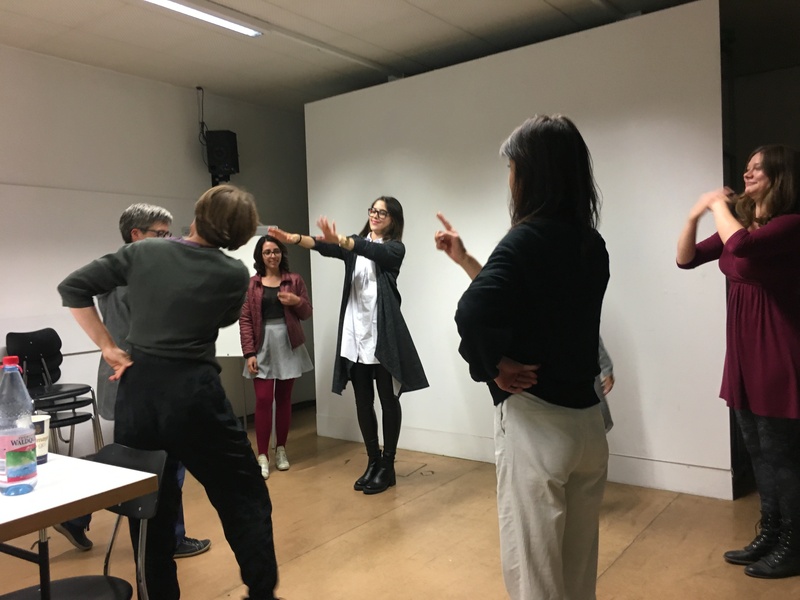 Workshop: For an Art of Emigration: ‘Many Figures Make A Ground’, at the annual conference of the Fachverband Kulturmanagement. University of Music and Performing Arts, Vienna. Culture shock happens when a traveler returns home. To make the familiar seem strange is part of the role of art. 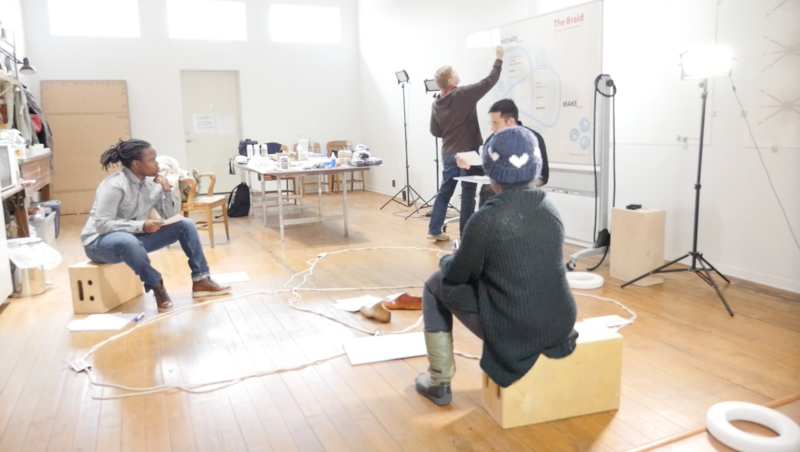 What this workshop can do is to make familiar ways of thinking strange, by drawing on embodied knowledge. 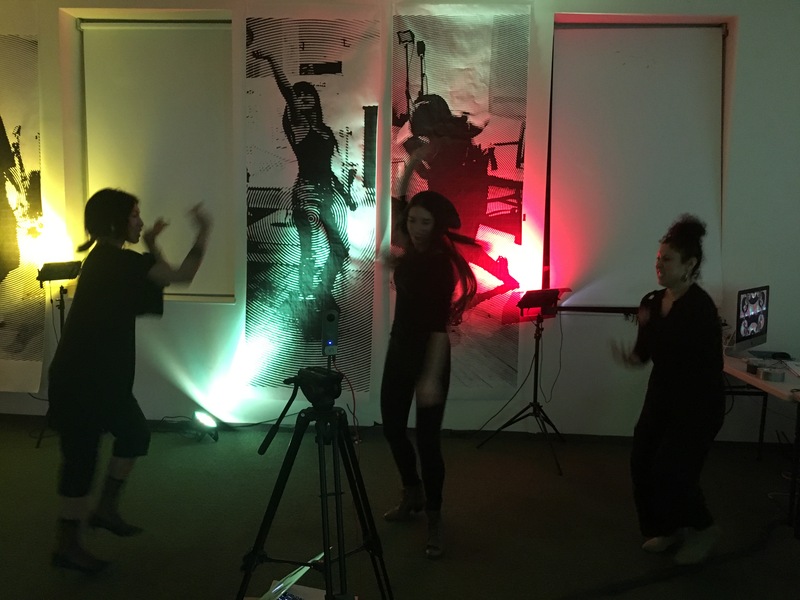 An art of emigration considers the value of de-familiarization to audiences, and ultimately to communication among co-located, but disparate constituencies. 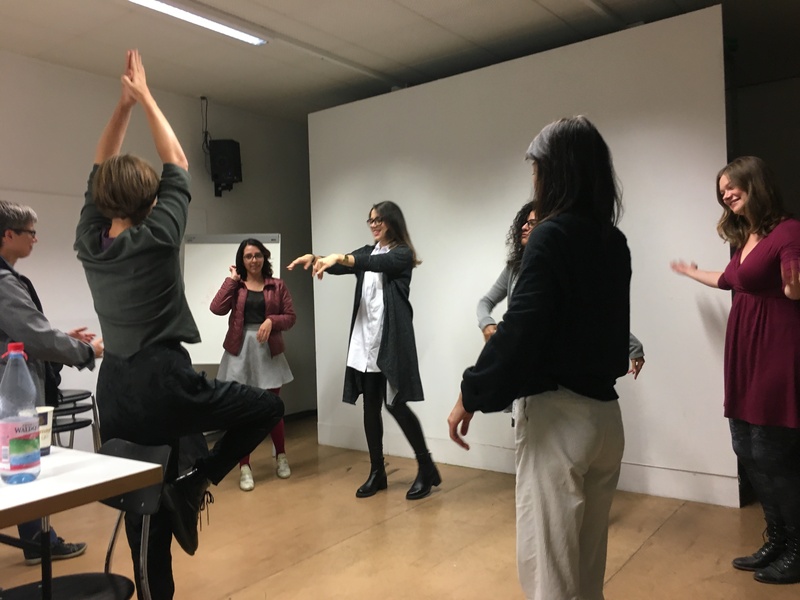 The workshop ‘Many Figures Form a Ground’ takes participants through a series of transpositions that mimic artistic processes of making things strange, through multimodal experimentation. 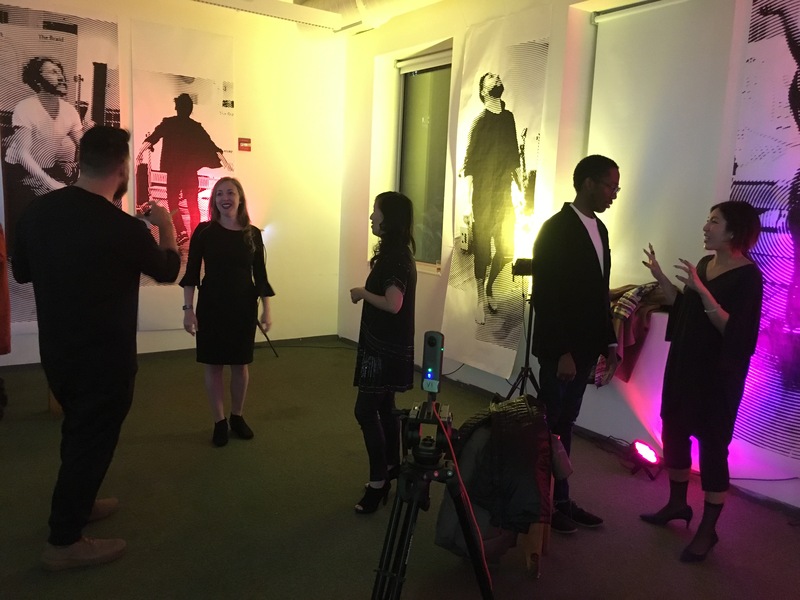 A team of facilitators will lead a 45-minute narrative and performative sequence that opens with a brief introduction, operates through facilitator prompts and mutual counsel among participants, and culminates in a simultaneous performance by all participants. 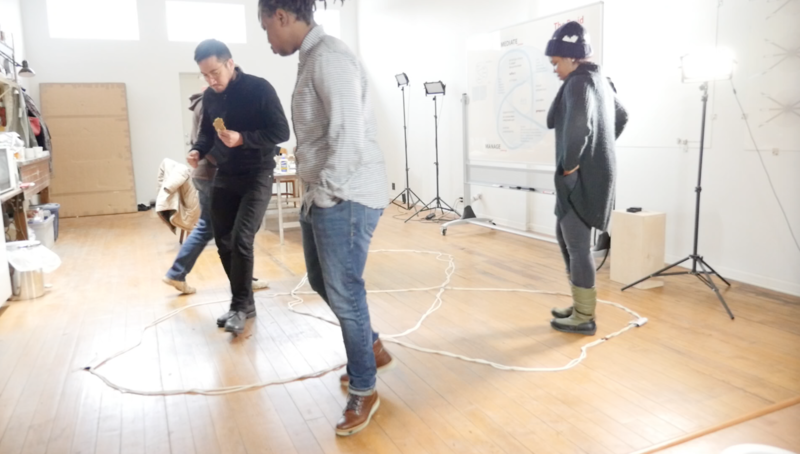 The game sequence is to be followed by discussion and joint assessment of the experience, along with a theoretic contextualization that will elucidate diagrammatic concepts at work. There’s also more at the Continuum Tab on this blog. *November 10, 2018. 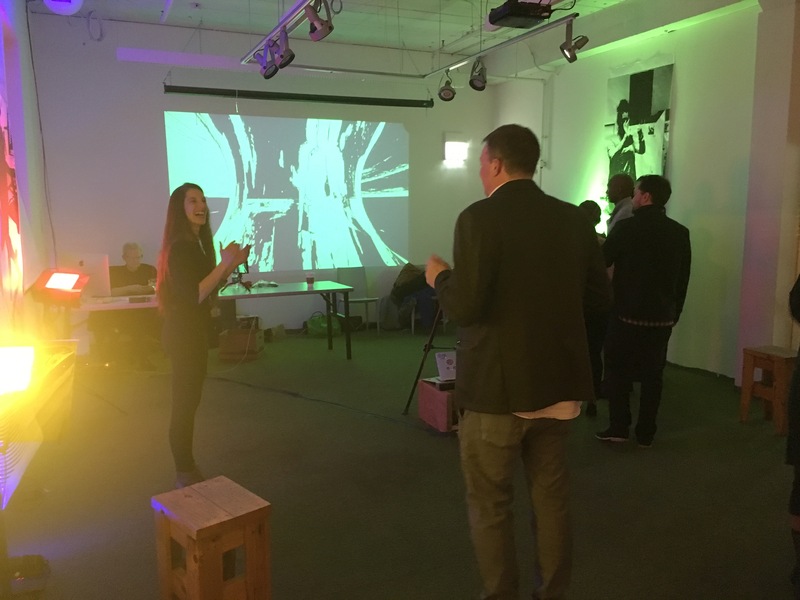 Back in Chicago, a meeting to get ready for the first public presentation of the game at the Hyde Park Art Center Gala. 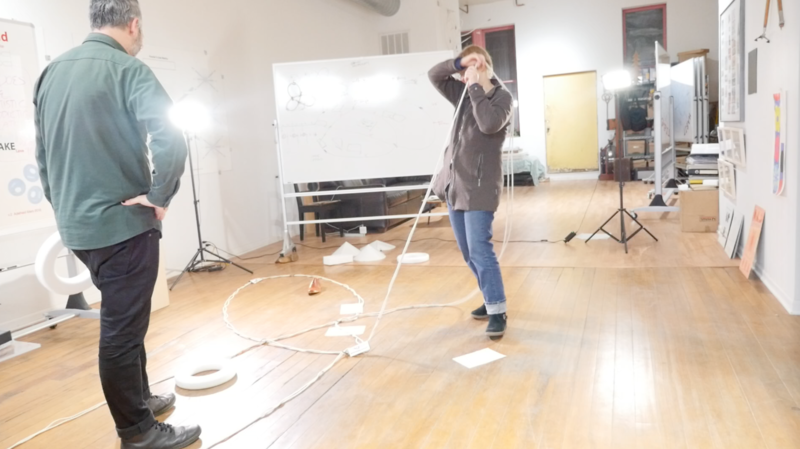 Robert Woodley’s topological video transformations will be applied and streamed live. Judith Leemann and Billie Lee happened to be in Chicago and joined us. 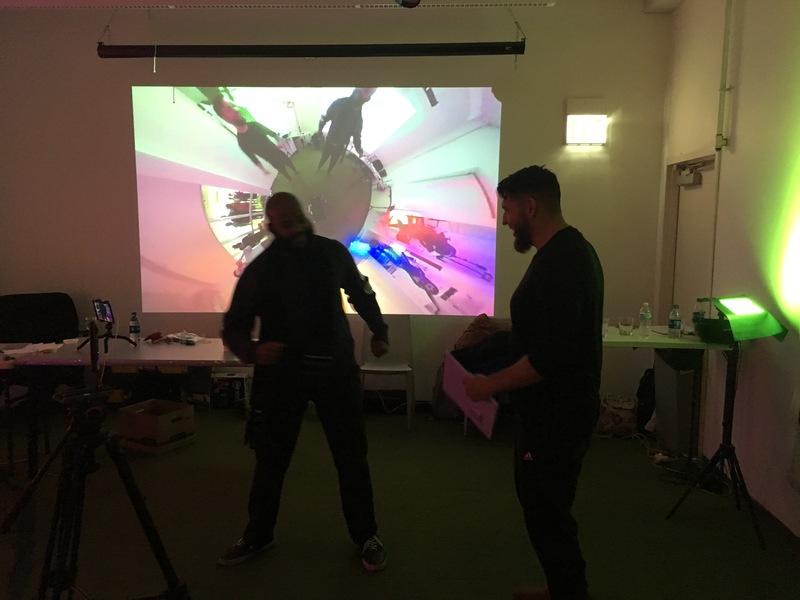 *For two weeks, also in October 2018, the studio moved to the Bauhaus University Weimar, on the invitation of Professor of Media Environments, Ursula Damm. Here, a seminar was the context for continued work on the game. 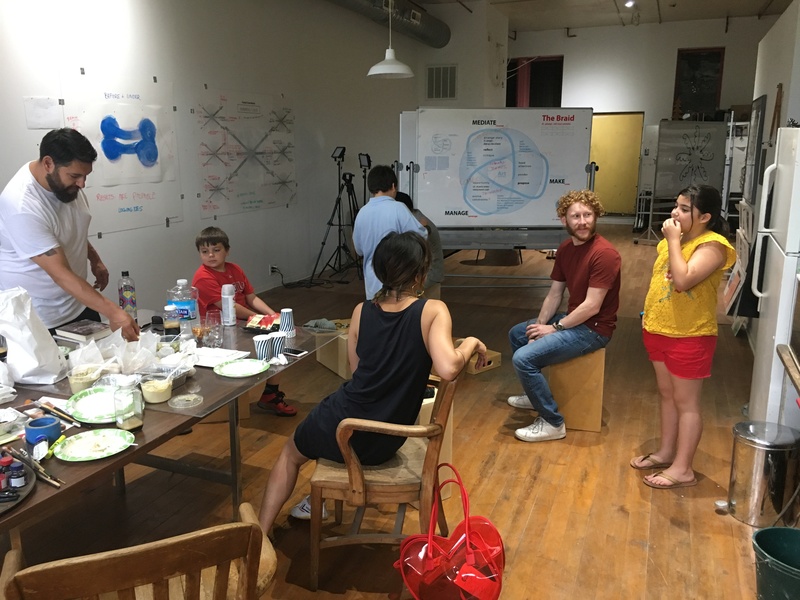 While the game had emerged and developed intuitively in Chicago over the summer, in Weimar we used the block seminar structure with its daily meetings to formalize the sequence of game prompts, observe performance iterations and bring in readings. 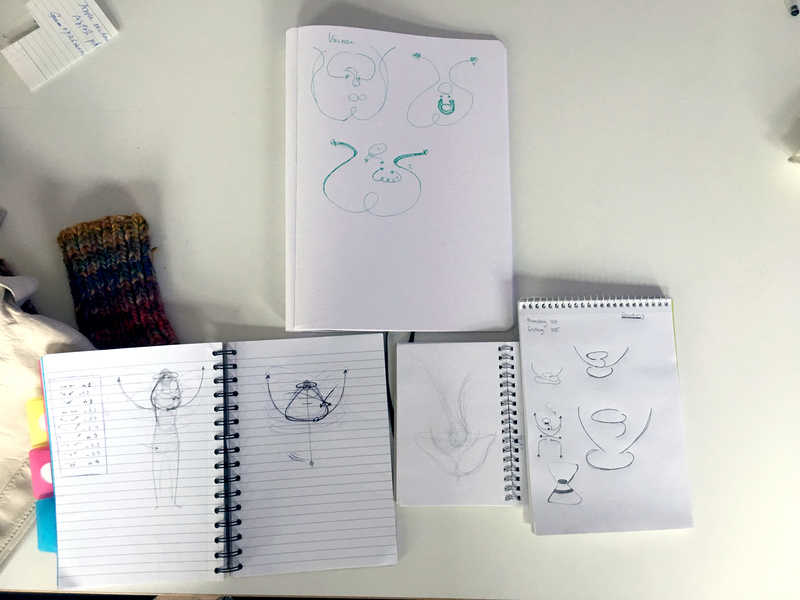 We experimented with drawing the game figures, and started to dig ‘in between’ the steps of the sequence. 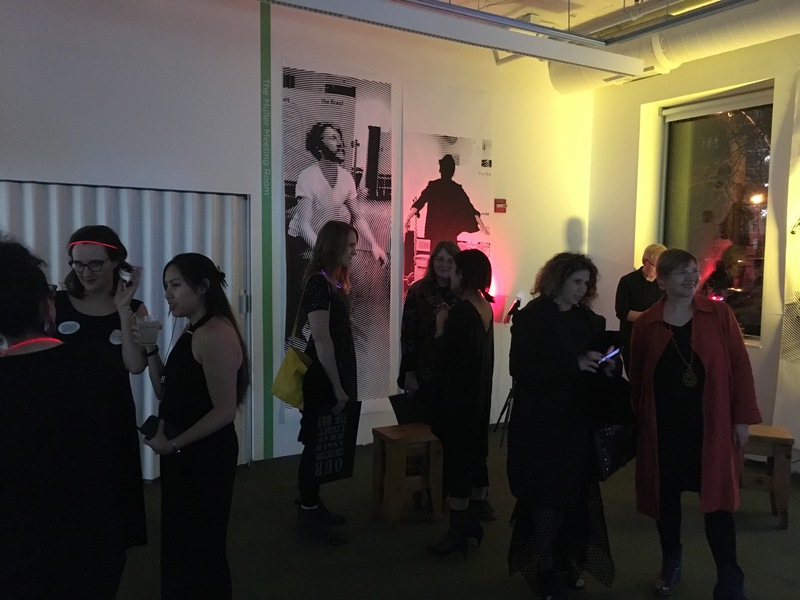 With Sandra Anhalt, Maud Canisius, Tamara Conde, Laura Giraldo Diaz, Vanessa Engelmann, Regine Elbers, Lara Hann, Sarah Hermanutz, Yen Ruo-Jin, Margarita Valdivieso. We are beginning to dig into the transpositions that appear to occur in the gaps between steps. DeAmon was at the convening as “Roving Listener” and shared his observations and responses at the end. 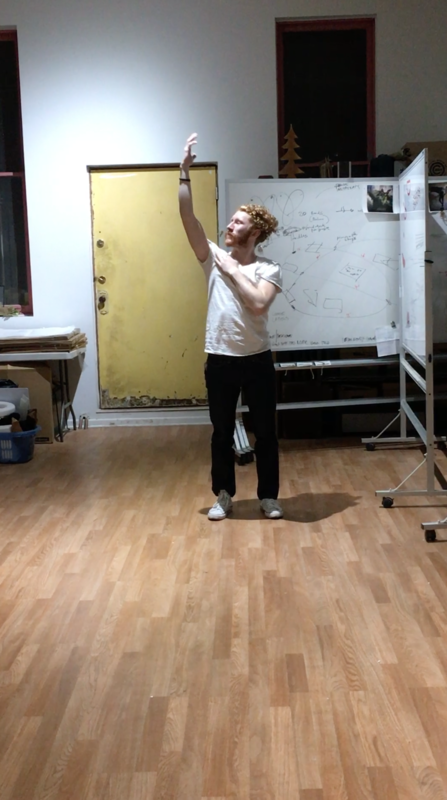 Here he reacts to a visual element of my response, one of a series of layered drawings. 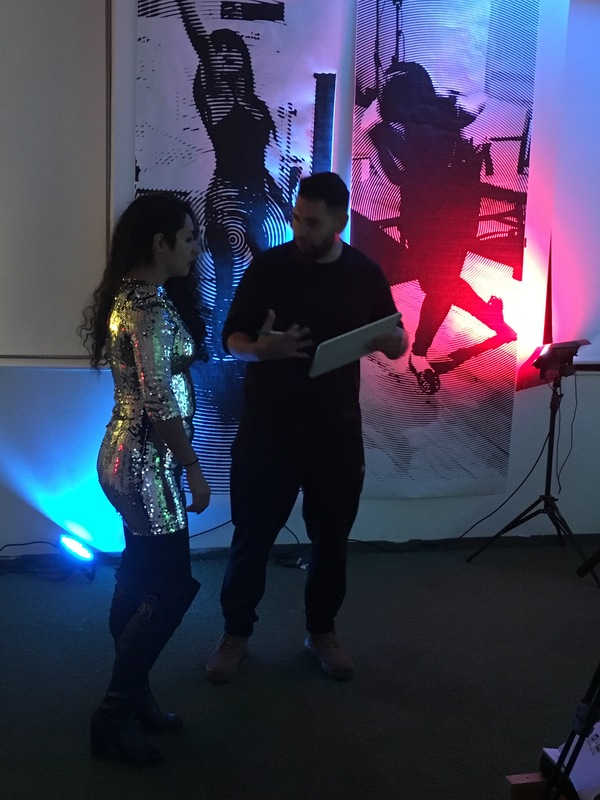 More about DeAmon’s work here. 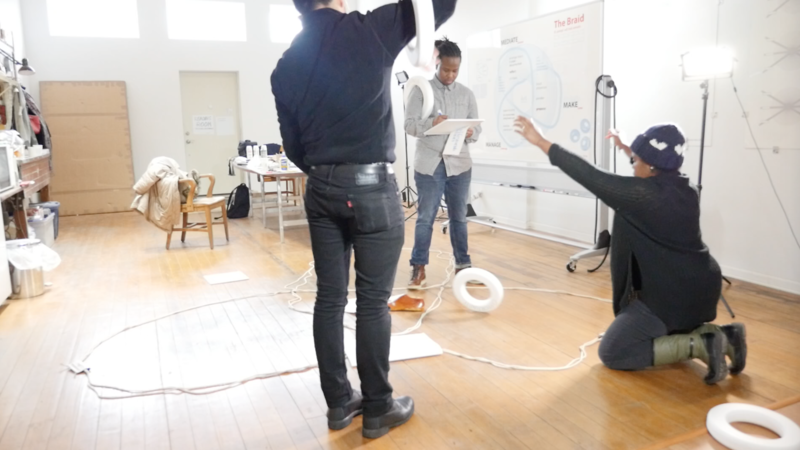 Most participants in this project engaged The Braid whiteboard, exploring their own modes of working while taking cues from the categories it displays. 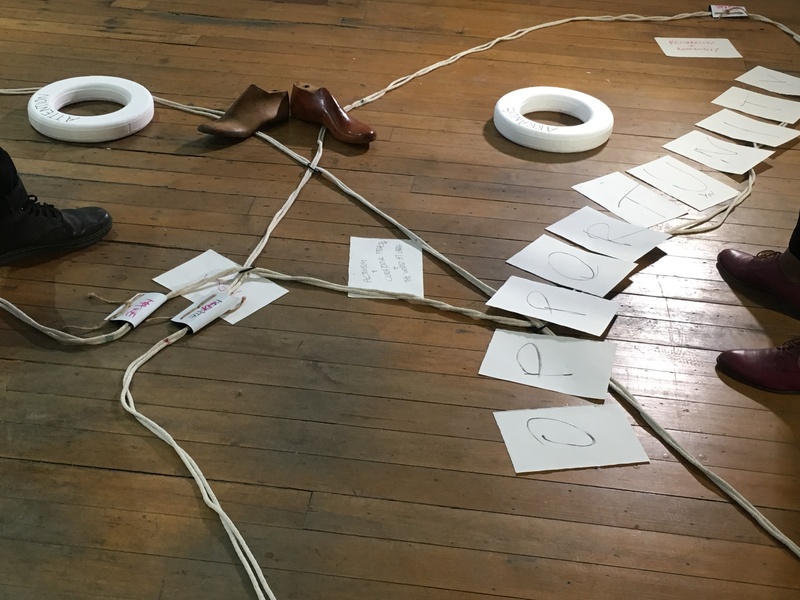 The Braid diagram emerged earlier this year from my ongoing conversations with artists about their practices. *How do you work? 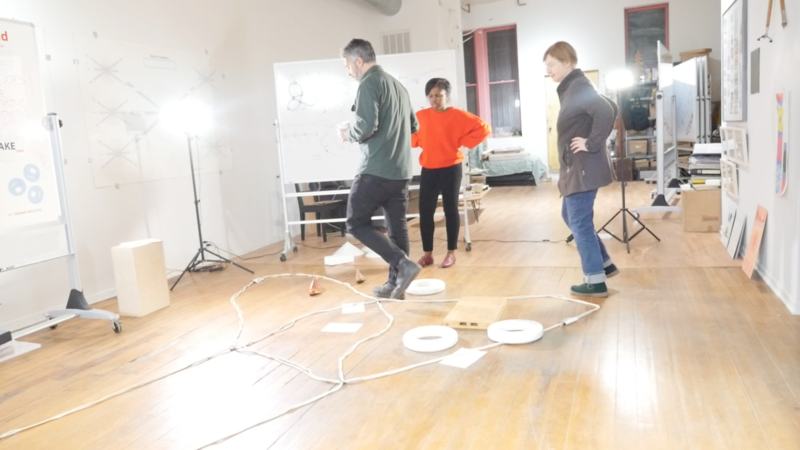 Conversations with experimental musicians, composers, and visual artists about their practices, followed by my visualizations of the conversations. 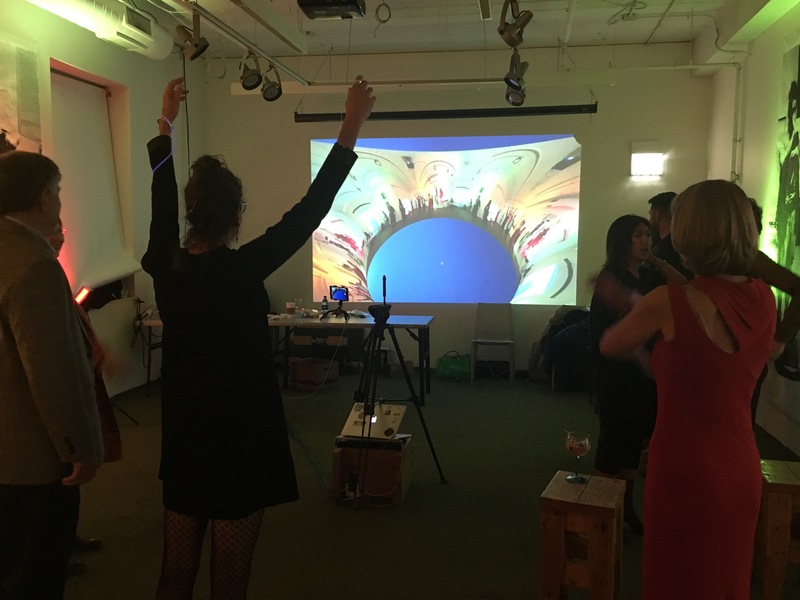 In turn, artist’s respond to the visualizations. Since conversations happen in many different places, some of the responses later take place long-distance. 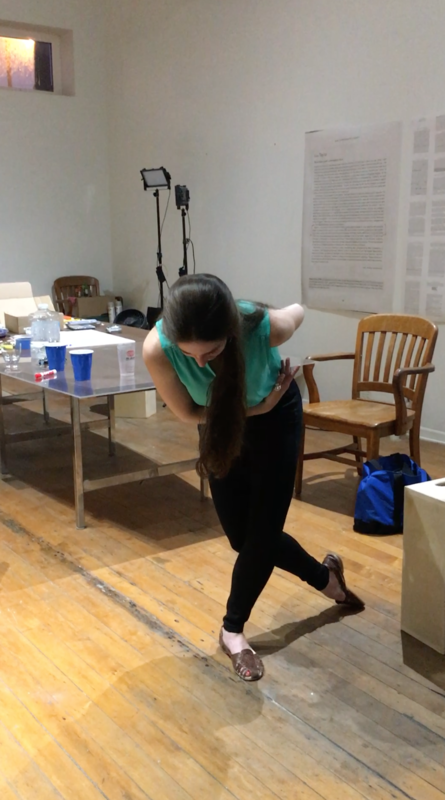 Included here are responses that took place in my studio, and in one case, at a studio I had use of during a residency. 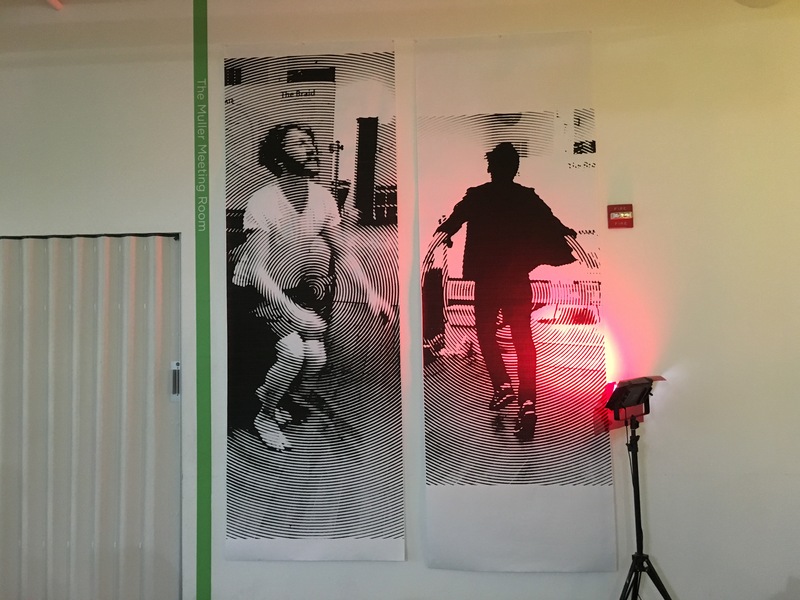 Visualizations, seen on the wall behind the artists or musicians, come in two versions – a freely composed scenario (left), and text entered into a Fractal 3-Line Matrix (right). Responses tend to be offered in the artist’s own medium. 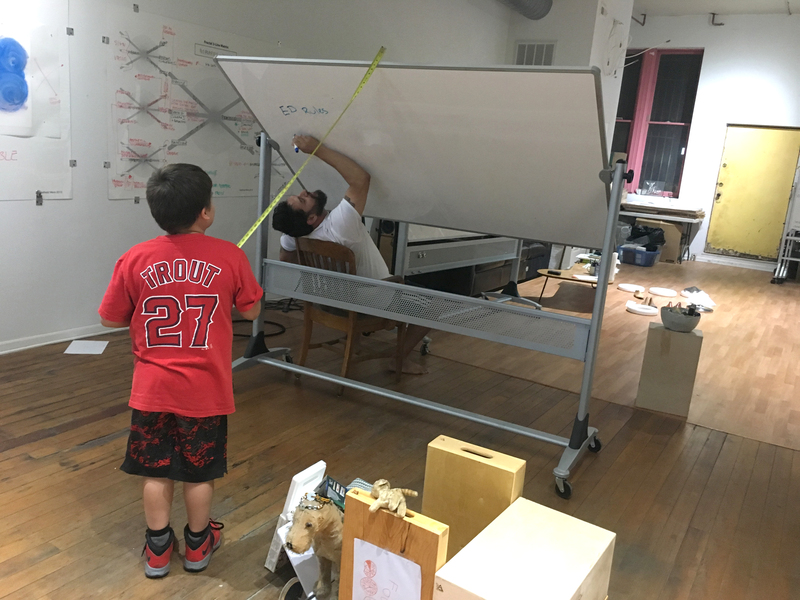 With James Falzone, who responded to visualizations of our How do you work? conversation. Shown is a composite image of documentation. 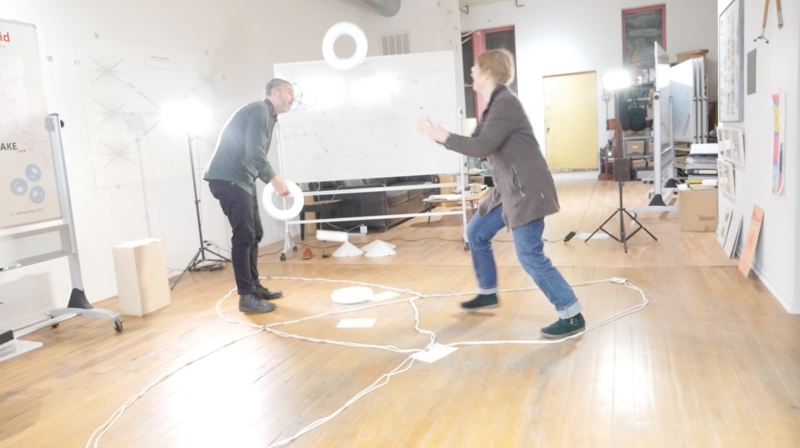 With Ken Vandermark, who responded to visualizations of our How do you work? conversation. Shown is a composite image of documentation. 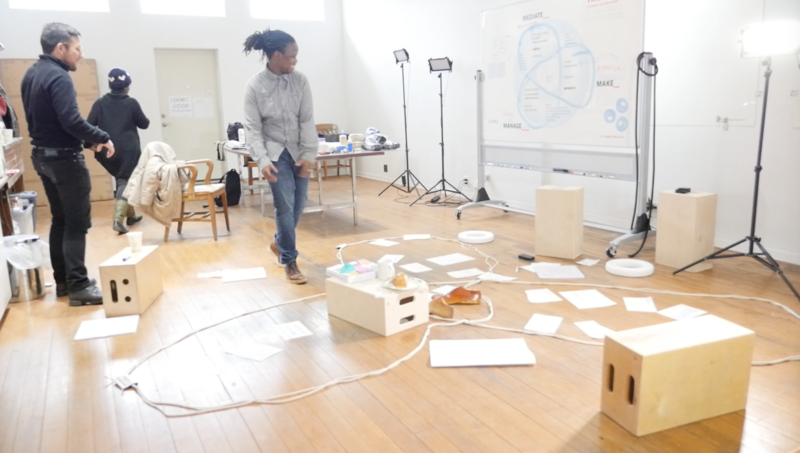 With Tomeka Reid, who responded to visualizations of ourHow do you work? conversation, at the Roger Brown Studio in New Buffalo, Michigan. Shown is a composite image of documentation. With Katharina Klement, who responded to visualizations of our How do you work? conversation. Also participating, Lynn Book. Shown is a composite image of documentation. With Lou Mallozzi, who responded to visualizations of our How do you work? conversation. Shown is a composite image of documentation. More about this conversation is published with Chicago Artist Writers, here. With Jim Duignan, who responded to visualizations of our How do you work? conversation. Also participating, Katya Balueva. Composite image of documentation. Shown is a composite image of documentation. With Eric Leonardson, who responded to visualizations of our How do you work? conversation. Shown is a composite image of documentation. More about the ongoing series of conversations, visualizations and responses.